Old Front Page News and you'll be able to catch up with past articles. 2019 reunion "one for the books"
The 15th Med Bn Assn marched into San Antonio and took over the whole town. 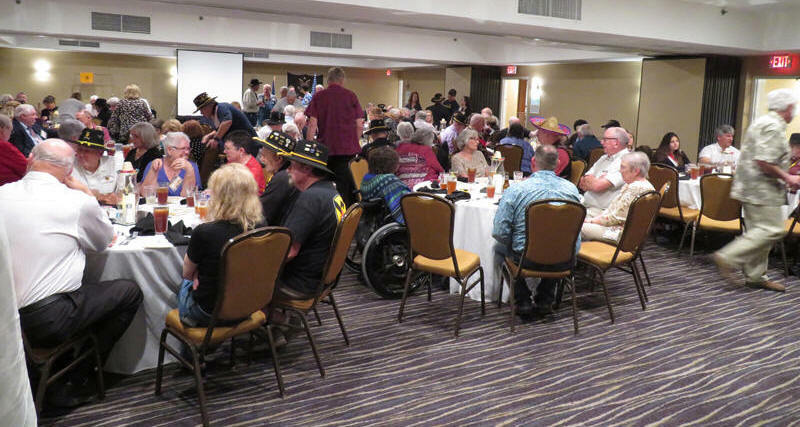 If you weren't in the hospitality room with us, on tour at Lackland AFB and Fort Sam Houston, or chowing down at County Line BBQ and La Margarita...then you missed a great gathering of folks. The MPs at both Lackland and Ft. Sam had never seen such a line of cars and sorta-kinda just waved us through as a herd. The official pictures, or what we like to say are the "Oh my God, do I really look like that? ", have been posted on our Web site for all the world to see. 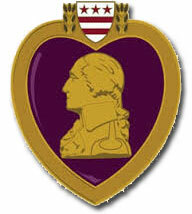 Purple Heart recipients to "front of the line"
The latest item to be stocked in our online store is an embroidered Medevac patch set (comes in two pieces) measuring 10 x 10 inches. Great to sew on your leather flight jacket, bowling ball bag, or anything else you want folks to know just what you did during the war. Check out these embroidered patch sets in the online store. As many may know by following this group, our beloved Holly Calibro died last December. Jimmy Ong donated money to the 15th Med Bn Assn in Holly's name. This was quickly followed by other members of the Association. The Executive Council is in the process of determining the best use of these funds. If you would like to suggest an idea, please let us know. Should you desire to make a donation to this fund, please click the "Donate" button above just below the Facebook button. 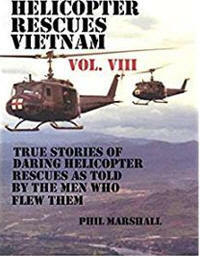 Phil Marshall, the editor and banquet guest speaker at the 2018 reunion in Williamsburg, VA, has just finished his eighth book about helicopter rescues in Vietnam. As with all the books in his series, there are plenty of great stories about the heroics of Medevac and DUSTOFF. His book is available at Amazon for $19.95. See more books of a similar topic by visiting our online store. We now have crests in two sizes to fit just about anything you own. The large crest is 4" H x 3.5" W and the small crest is 3" H x 3" W. Each crest is mounted on a medical maroon felt backing (so they're flexible) with four bayonet pin keepers on the back. And of course, you may order each crest in any of the three different layouts. Thanks to the tireless efforts of our historian Terry McCarl and for the money put up by Corky Walsh, we've been able to add two new documents to our site; Activities Report 1 Jan 66 - 31 Dec 66 and Annual Historical Report 1 Jan 70 - 31 Dec 70. Both make interesting read so check them out for yourself by going to the Historical Documents section of this site. Rosters must be requested and will be sent by e-mail only, unless special arrangements are made by e-mail. Go to the How To Obtain Personnel Rosters page for further instructions. The database making up the Unit Member Search has been scrubbed to make it as accurate as we can at this time. All e-mail addresses were checked for currency and "dead" e-mail addresses deleted. This leaves many members without an operating e-mail address associated with their data. I need your help in filling in the blanks. Please search for friends you served with and if you notice an individual's name doesn't have an e-mail address, but you known what the e-mail address is, then please let me know at medevac2@15thMedBnAssociation.org . Thanks. After some very long days and nights of typing in over 753 member names into a database, Terry McCarl and I are finally finished and the works or our labor are available on our Unit Member Search page. Now's where the hard part comes in. We need everyone to help cleanse the database and report inaccuracies to us. We also need to know of anyone that may have died so we can move their data to another searchable table. So go over and see if we have your data and check that it's correct. If there are any inaccuracies, fill out the corrections form and send it in. Some new pictures of Company B after the ammo dump explosion were added to the Photo page 5. Many thanks to Jerry Kuklok for taking the time to send them. So what's keeping you from scanning a few pictures and sending then in to us. We'd love to post them and let the whole Association see them. Send them as an attachment to an e-mail to medevac2@15thMedBnAssociation.com . No scanner or not comfortable with attaching items to an e-mail, just sent the pictures to R. (Baby Huey) Huether, 110 Cedar Hills Dr., Fredericksburg, TX 78624. I'll scan them for ya and then return your pictures. 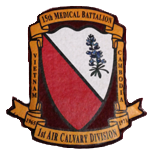 The 15th Medical Battalion Association is registered as a non-profit tax-exempt private foundation with tax-exempt status granted under IRS rules section 501(C)(3) of the Internal Revenue Code.